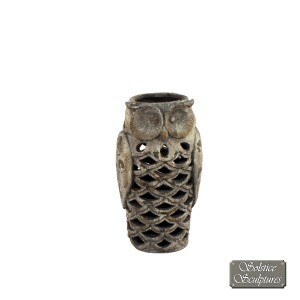 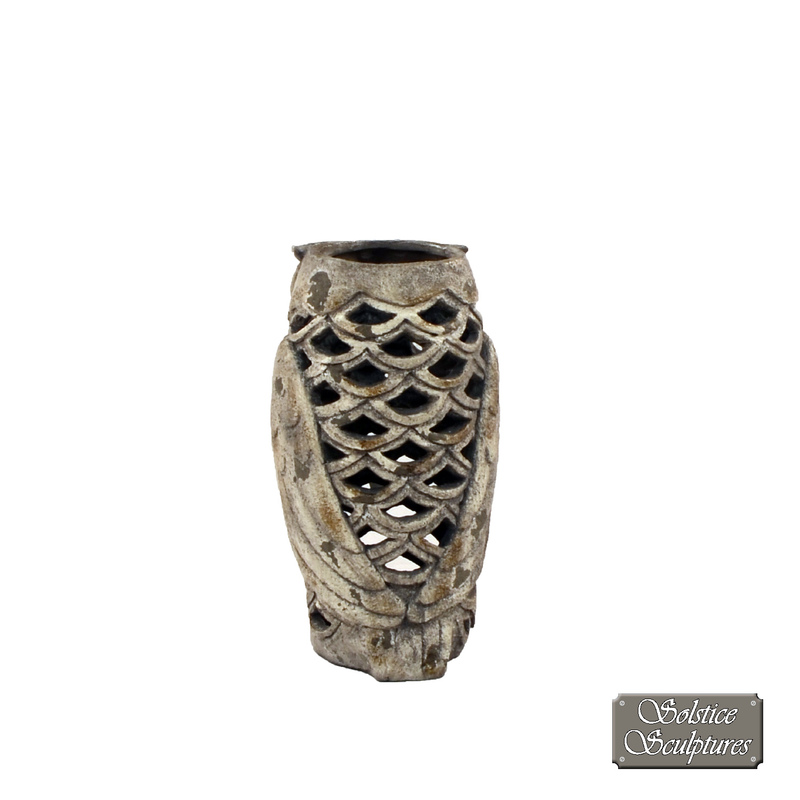 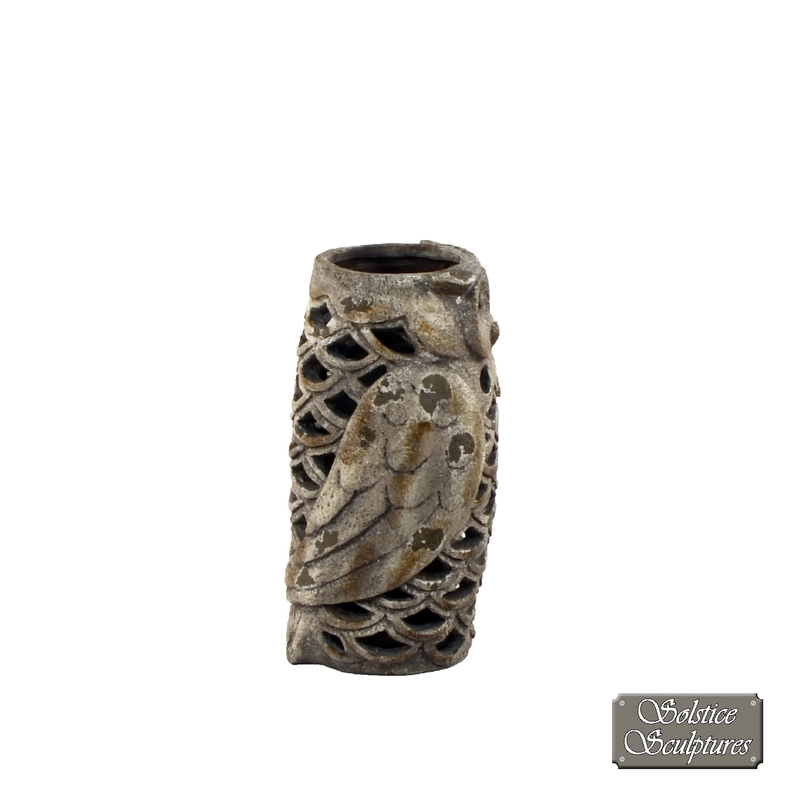 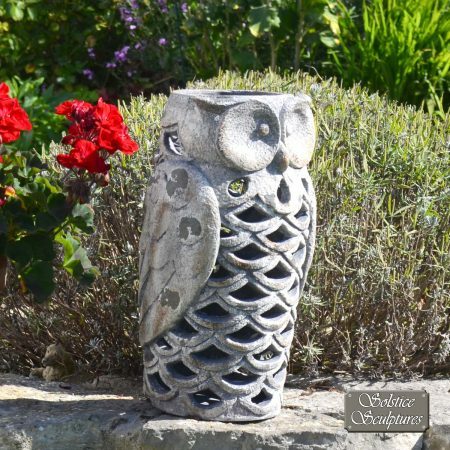 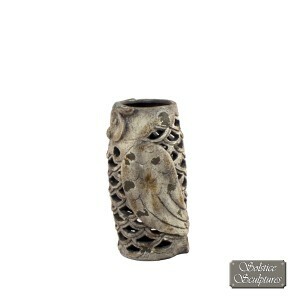 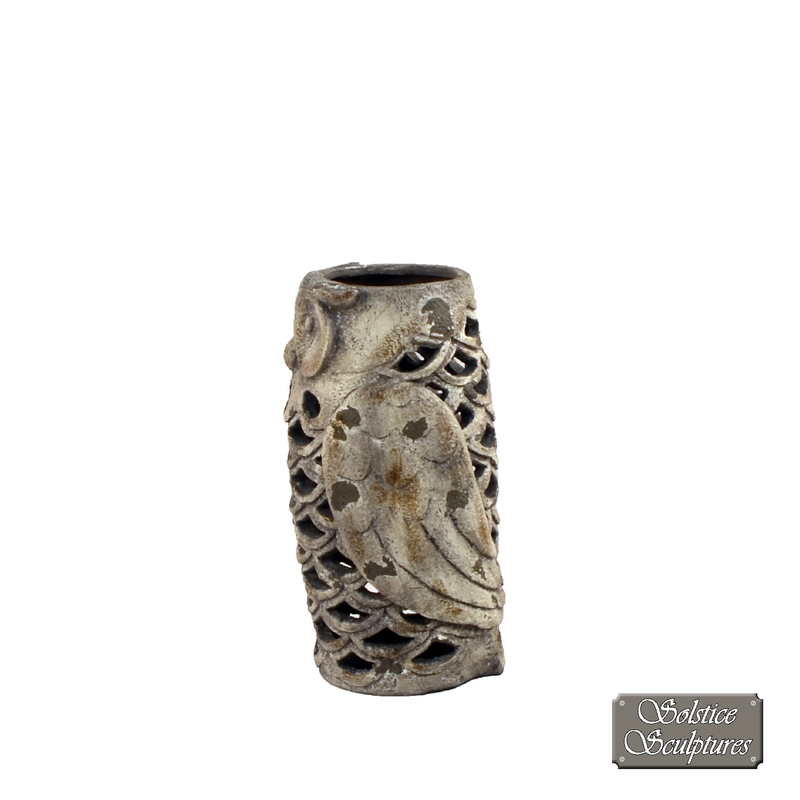 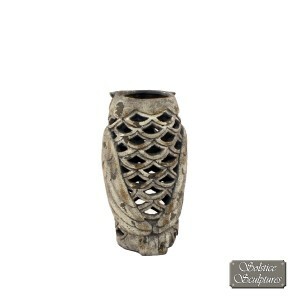 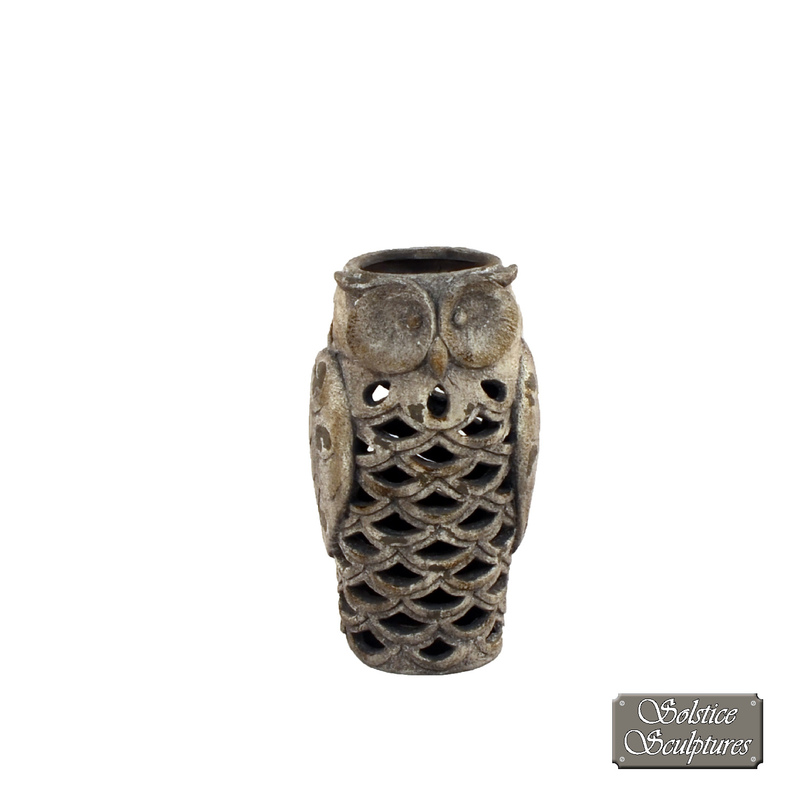 This owl lantern features a distressed shabby chic stonework effect finish, It is 35cm tall. 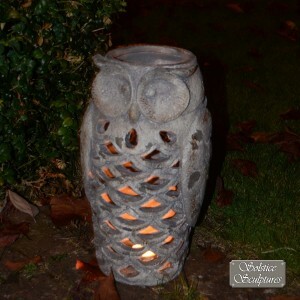 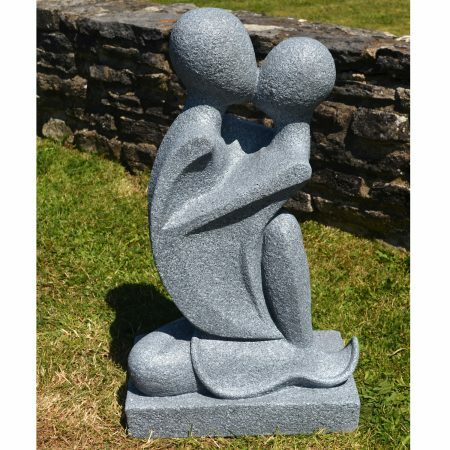 This owl lantern features a distressed shabby chic stonework effect finish, this lantern can sit anywhere and will enhance the ambience any time of the day. 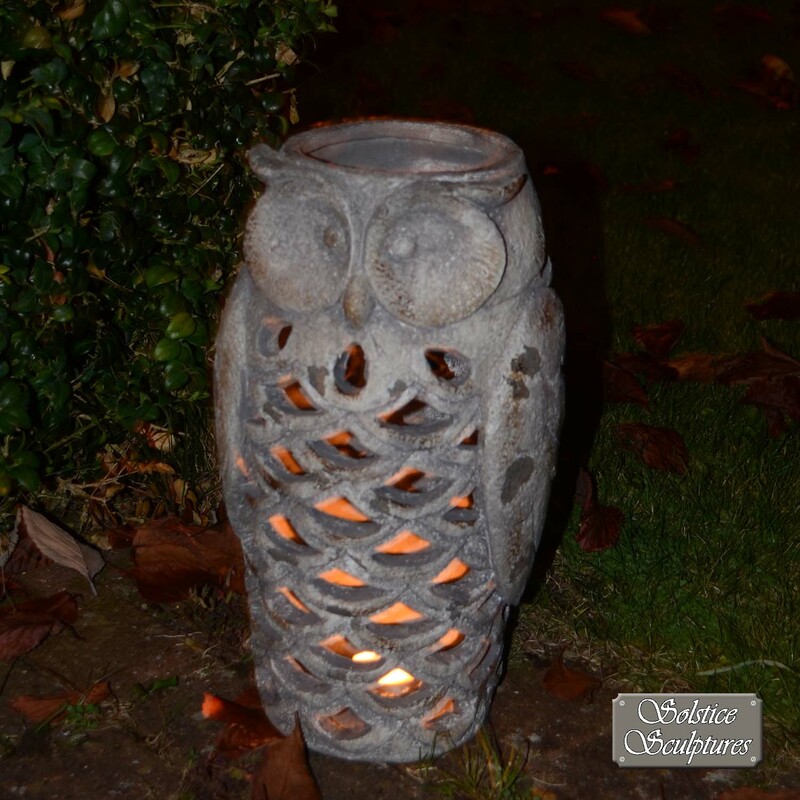 The filigree design on the feathers creates enchanting shadows when a candle or light is placed inside.